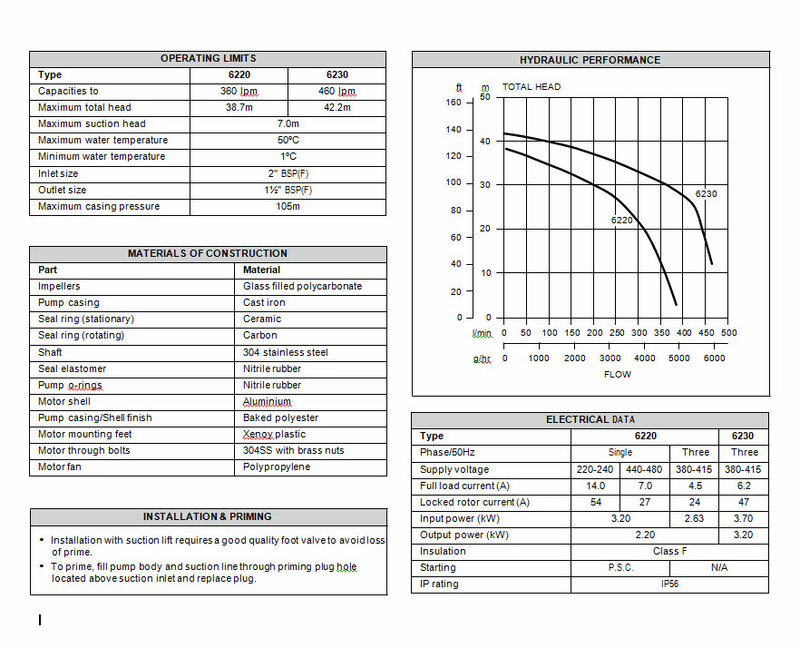 Suitable for shallow bores and water transfer. 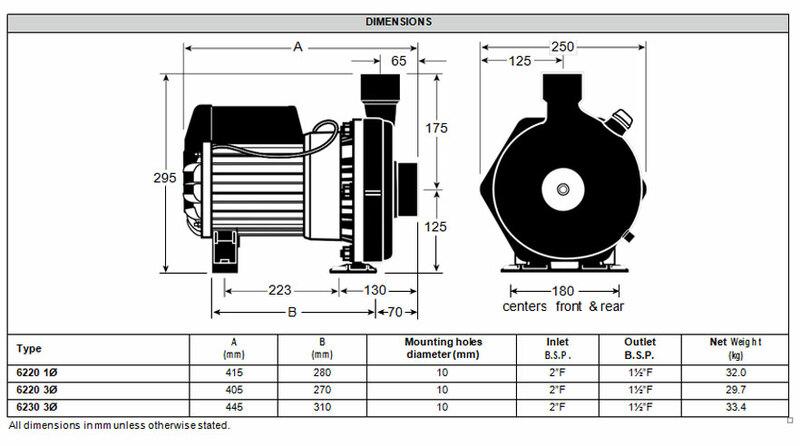 A rugged economical centrifugal pump, designed for total heads to 41m and flows to 450lpm. 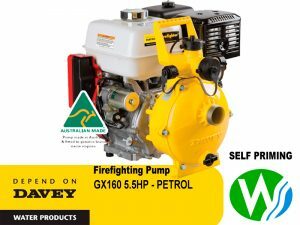 Hosing down – dairies, factory floors etc. 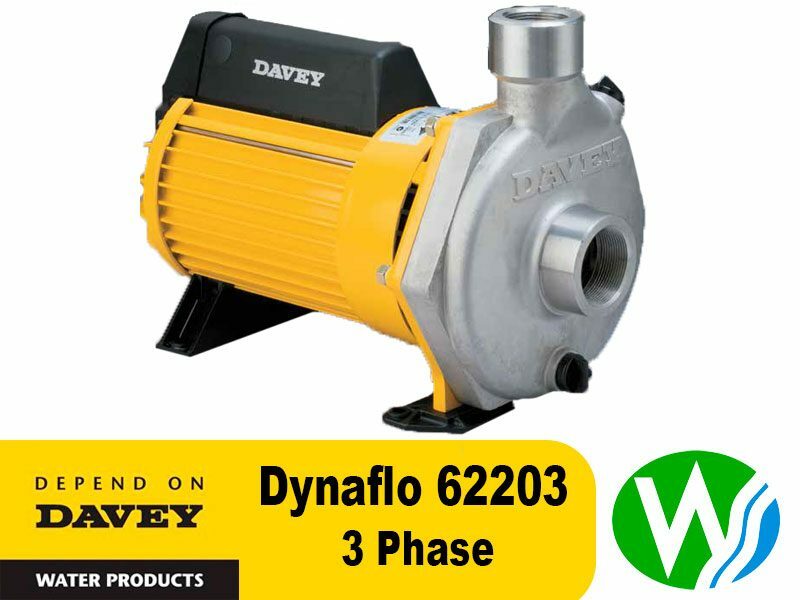 Every Dynaflo pump is performance and pressure tested in the factory ensure quality and reliability. Cast iron pump casing with baked polyester finish inside & outside for long life. O-ring sealed hand tightened priming plugs for easy operation. Proven robust pump design for long life. 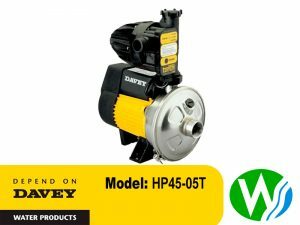 Davey manufactured motor with IP56-TEFC, 2 pole motor are corrosion resistant for long term protection against vermin, dust and water. 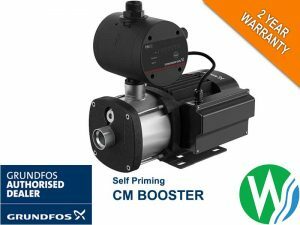 The Motor and pump are designed for frequent starts providing a long and reliable working life. 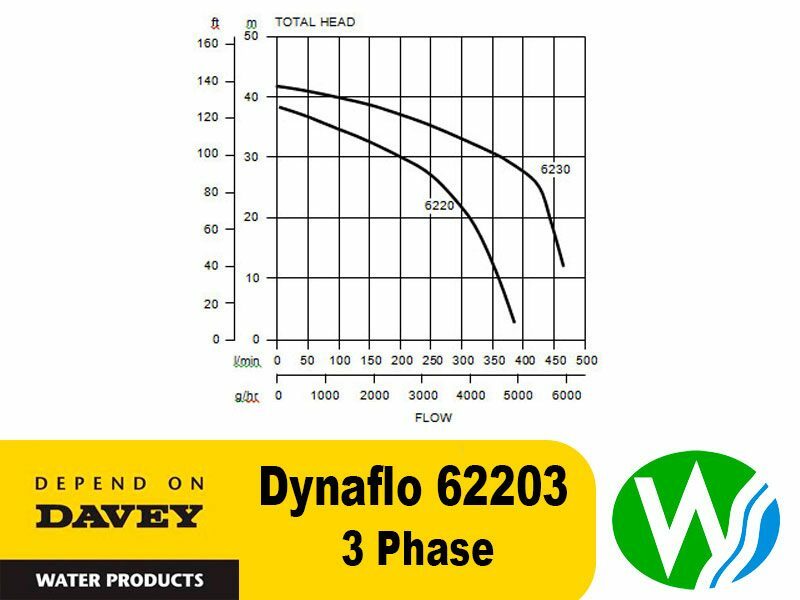 The Dynaflo 62203 has an In-built thermal overload protection with automatic reset in all single phase models for long term motor protection, Double contact seal, C3, high temperature greased bearings for long life and smooth running.